Findings from CX Act’s Omnichannel Customer Care Study. Much has been written about the proliferation of contact channels in an increasing omnichannel world, especially in the path-to-purchase cycle. But in recent research, CX Act Inc. (formerly TARP Worldwide) found that the customer care experience is neither as “omni” or as effective as many believe. The research suggests customers and companies would be better served if companies would take a more measured approach and step back from their seemingly relentless pursuit to cover all bases (channels) equally, without having considered customers’ fundamental needs, and before they are really ready and able to do so. 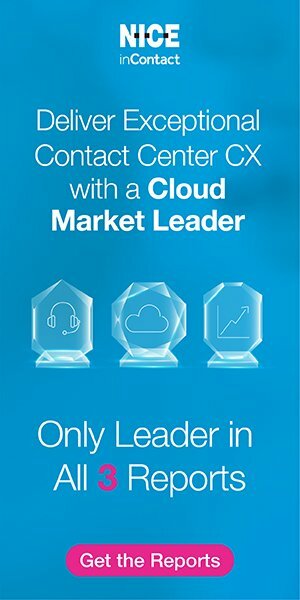 CX Act recommends a more focused approach, with less emphasis on “omnichannel” customer care and more on “multichannel done with finesse” by guiding customers to the channels that are best equipped to serve their needs. We propose a five-step process for achieving that focus. We’ve learned that it is one thing to be “in” a channel and make your company relevant to the consumer conversation when creating awareness and engagement. It’s quite another when customers reach out through that channel and expect companies to be geared up to respond and resolve issues. When contact center executives were asked their definition of “omnichannel,” there was a wide variance of understanding. While some defined it as allowing customers to contact companies any way they like, others thought of it as the consistency in which the service is delivered. A common theme is the ability of companies to allow customers to choose without disrupting service. If there were any real doubt as to why great customer care experiences matter, the answer is evident in bottomline measures such as loyalty and advocacy. CX Act’s previous research (“CX Act 2013 Touchpoint Study: Personal Presence Trumps Digital Decorum,” Pipeline, March 2014) shows that customers who receive a first-contact resolution, regardless of channel of contact, are nearly twice as likely to remain loyal and four times more likely to spread positive word of mouth about your brand (see Figure 1). This is a dynamic that impacts the whole customer experience continuum, from acquisition to retention and growth, and is thus a crossfunctional concern, not just the problem for the customer service or consumer affairs department! So why aren’t customers using more non-traditional channels for service transactions? After all, there is a growing trend toward using multiple non-traditional channels for product/service research and purchasing. The answer lies in the actual experiences being provided by companies though non-traditional channels that lead to frustration and disappointment and, therefore, lower customer expectations. The consequence is a stuttering progression toward use on these non-traditional channels as customers seek the safe haven of more reliable traditional channels. The most important factors driving the selection by a customer of a contact channel is the degree to which the channel will be “quick and easy” and that the questionscomplainttransaction will be completed/resolved in the first contact. This finding is consistent with what CX Act found through our Touchpoint Stress Test research last year (“Brands Falter on Digital Channel Engagement Leading to Lost Loyalty: Highlights from the CX Act 2014 Customer Touchpoint Stress Test,” Pipeline, July 2014) in which 58% of customers were very satisfied with their phone response, but less than 40% were satisfied with their response via non-traditional channels. Customers want to use non-traditional channels when it increases the speed and ease that they can get an answer to their question or resolve an issue. Putting together the company assessment of delivery, customer expectations of delivery and customers’ future usage (see Figure 7) reveals that the telephone channel has the highest expected future use and is meeting or exceeding customer expectations. However, the non-traditional channels with the greatest expected future use that fall well below expectations are mobile (including self-service, chat and text on mobile) and self-service on the web. Companies understand this dynamic, with contact center executives also most likely to rank quick and easy resolution and security among the most important factors for satisfying customers across all reasons for contact. Customers are most likely to expect first-contact resolution from either live chat online or via telephone. They expect the highest level of security through online self-service. And, customers expect contacts to be easiest to handle via online live chat, email or mobile self-service. This has implications for how companies can optimize each contact channel experience. Companies should aim to use traditional channels (phone and on-site) and live chat for the non-routine matters (e.g., questions and complaints) where interaction and emotional engagement and empathy remain paramount. Self-service and mobile apps are best-suited for the routine and data sensitive transactions (e.g., billing and account related). There is a potential to move more general questions and account inquiries to self-service and mobile, with seamless integration allowing for a more personalized interaction. Across all channels and reasons for contact, the key continues to be “quick and easy,” but companies need to ensure a high level of emotional connection for traditional channels and live chat. Email is another channel that—while being “digital”—requires some humanization to be effective, an area of down fall for many organizations. So, how can companies achieve the balance between offering new channels and meeting customer expectations? Some have suggested that companies just need to provide all channels for all reasons for all customers, or as some say “true omnichannel.” Our research suggests that a more pragmatic and effective solution for both customers and companies lies in providing “multichannel customer care, but done with more finesse” and to guide customers to the channel that will allow them the solution that will most meet their needs. If companies continue to try to be all things to all people when (a) it’s not necessary, and (b) before they are ready, they will continue to suffer criticism from their customers and bear the brunt of duplication of costs that inevitably come with duplication of effort and the inability to shift resources to those areas that are most effective for both the business and the customer. Evaluate your company’s capabilities and operational constraints across channels. Identify needs, preferences and expectations among your most important customer segments. Prioritize development of channels that will best serve your customers. Establish and meet service levels for each channel that meets customer expectations. Communicate, educate and direct customers to the channel that will most meet their needs by task.